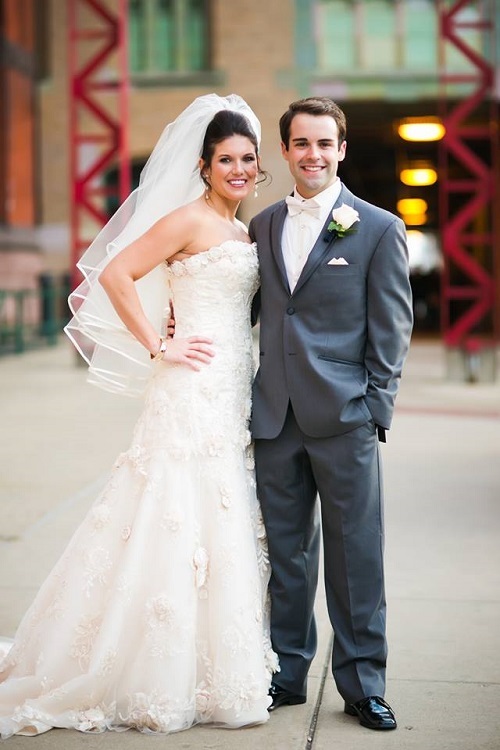 Tracey & Travis’ epic wedding day at the Crowne Plaza at Historic Union Station was quite the day to remember. From preparations behind the scenes with Beauty by Crystal to a tearful first look on the Grand Hall mezzanine and photos with Jamie Sangar, the couple looked fabulous. The ceremony decor by Royal Creations was simply stunning, and I especially loved the way the parents were integrated into the wedding. The reception was a total blast, from the lively music by My Yellow Rickshaw through Tracey & Travis’ spontaneous decision to cancel the horse carriage and take their guests bar-hopping instead. Of course, it will be impossible for me to think of this day without being inspired by the way Jamie fought through an illness early to do an amazing job, what photographer Jessica Strickland went through to be able to eventually fill in for Jamie, and the positive, encouraging attitude that this incredible couple kept through it all. Clients and vendors like these are the very reason I love what I do! 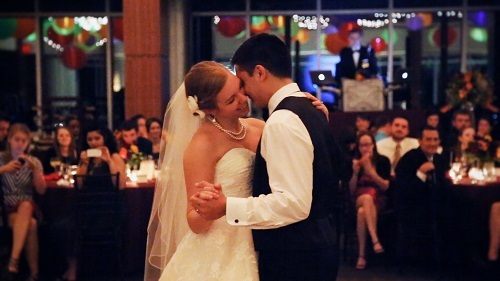 Frances & Phil shared an emotional, faith-filled wedding ceremony at the Indiana Landmarks Center, followed by a reception at the stunningly decorated Indianapolis Museum of Art. Our coverage started with a fun rehearsal dinner Friday night at the Westin, then resumed Saturday at the ceremony site as Jim & Lois Wyant were capturing group photos. The ceremony including several unique spiritual touches such as a group prayer among the bridal party, communion and a sand ceremony where the sand filled an actual picture frame of the couple. The guests gathered in the Pulliam Hall at the IMA for cocktail service by Kahn’s Catering before proceeding to Deer Zink Pavilion, which was stunningly lit only by the glow of Chinese lanterns overhead, installed by Scott Evans and the Wow Factors crew. Sweet Pea Floral Design‘s beautiful work completed the transformation, and Wedding Entertainment Director Jim Cerone (who referred Frances & Phil to us) presided over the rest of this amazing evening, which was executed to perfection by Laura Lim of Eventfull Planning.